Chester County PA single-family homes saw pending sales decrease by 15.0% in October 2018 when compared to October 2017. 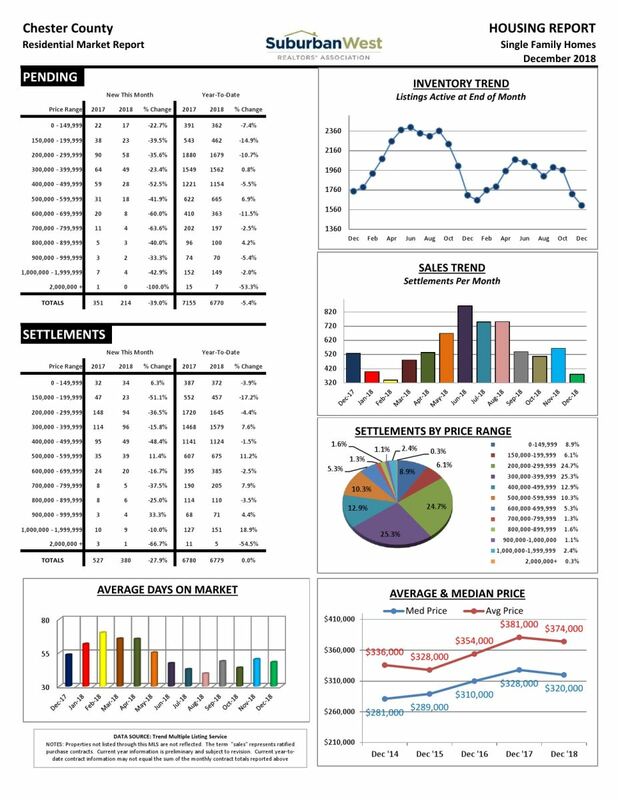 528 homes sold in October with a median sales price of $346,000. 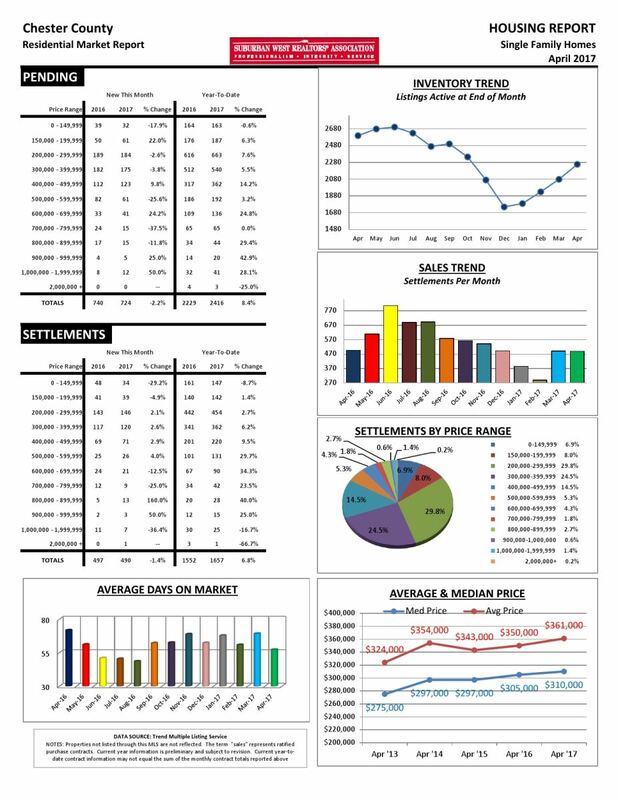 The average sales price decreased by 1.8%, and homes were on the market 10 days more. Chester County PA single family homes saw pending sales decrease by 11.0% in March 2018 when compared to March 2017. 450 homes sold in March with a median sales price of $330,000, a 4.8% increase from March 2017. 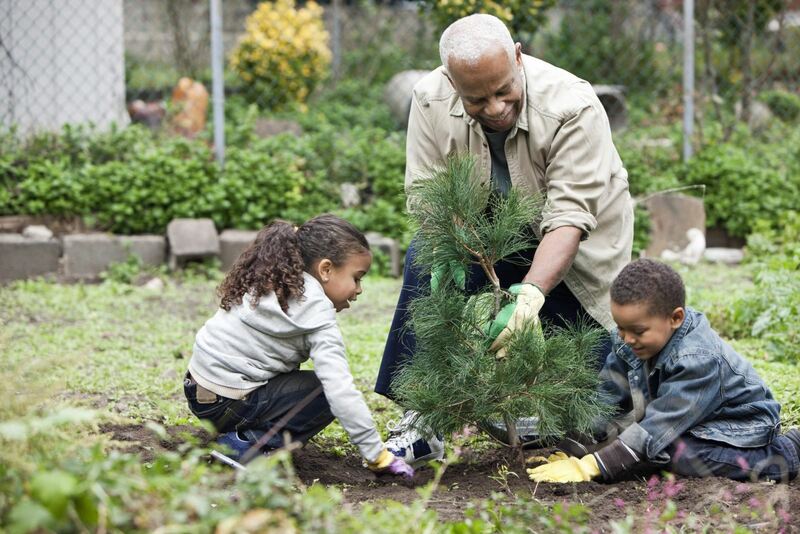 The average sales price increased by 7.5%, and homes were on the market 5 days less. Chester County PA single family homes saw pending sales decrease by 2.2% in April 2017 when compared to April 2016. 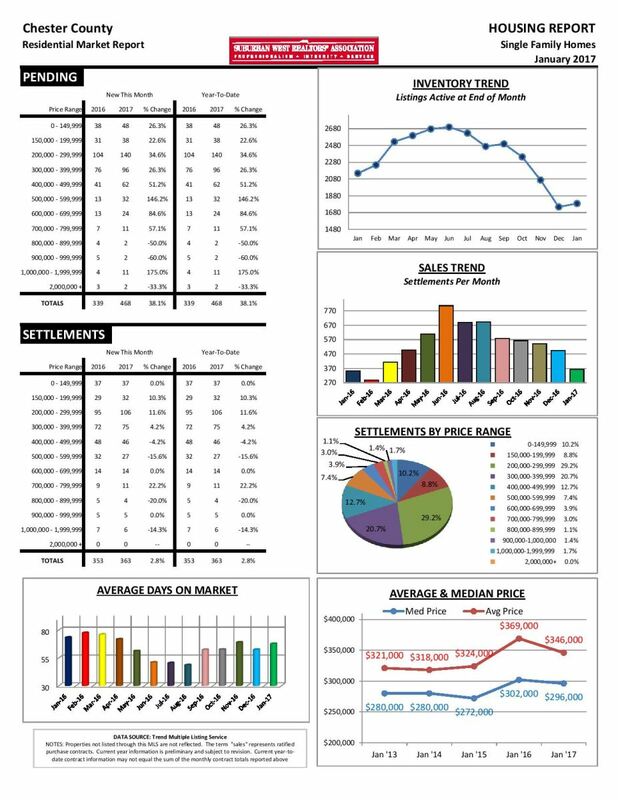 490 homes sold in April with a median sales price of $310,000, a 1.64% increase from April 2016. The average sales price increased by 3.1%, and homes were on the market 15 days less. Chester County PA single family homes saw pending sales increase by 3.6% in February 2017 when compared to February 2016. 270 homes sold in February with a median sales price of $300,000, a 9.1% increase from February 2016. 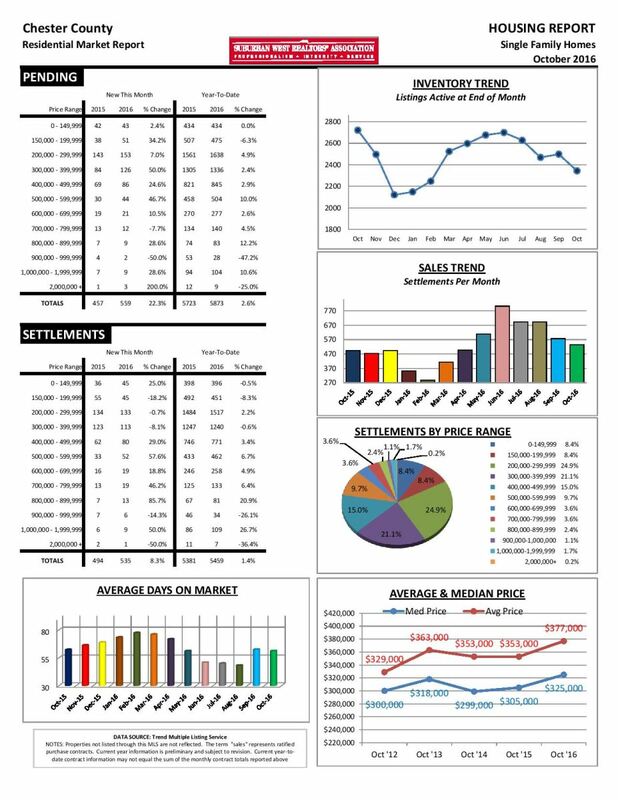 The average sales price increased by 2.4%, and homes were on the market 5 days less. Chester County PA single family homes saw pending sales increase by 38.05% in January 2017 when compared to January 2016. 363 homes sold in January with a median sales price of $296,000, a 1.99% decrease from January 2016. 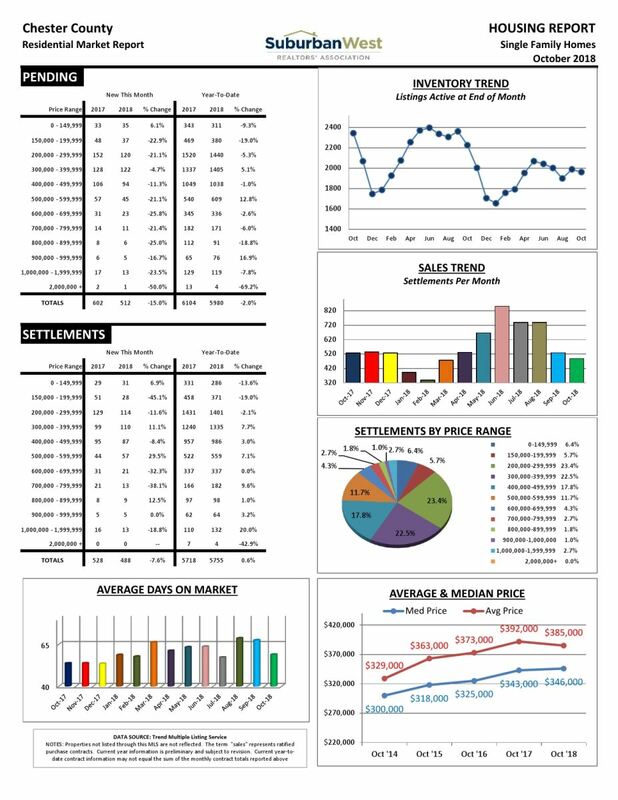 The average sales price decreased by 6.23%, and homes were on the market 5 days more. Chester County PA single family homes saw pending sales increase by 18.25% in October 2016 when compared to October 2015. 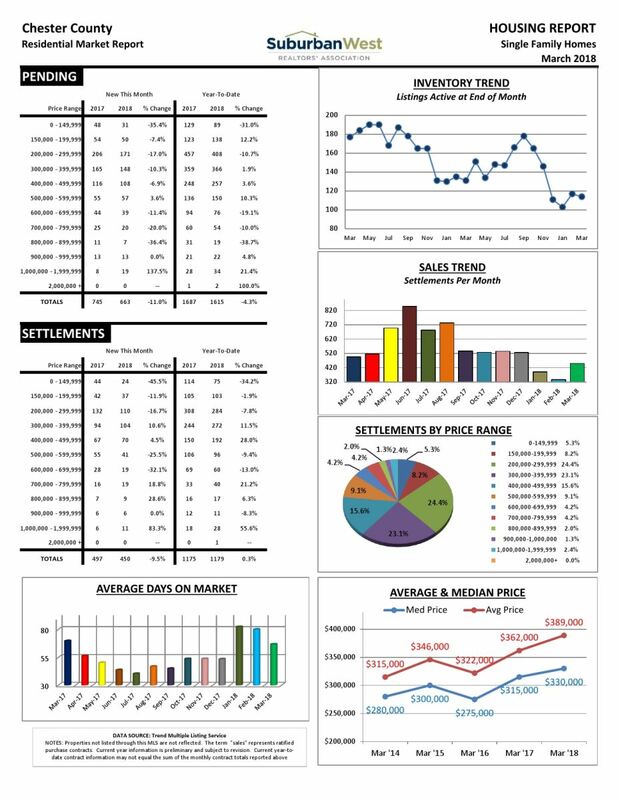 494 homes sold in October with a median sales price of $325,000, a 7.69% increase from October 2015. The average sales price increased by 12.73%, and homes were on the market 1 day fewer. 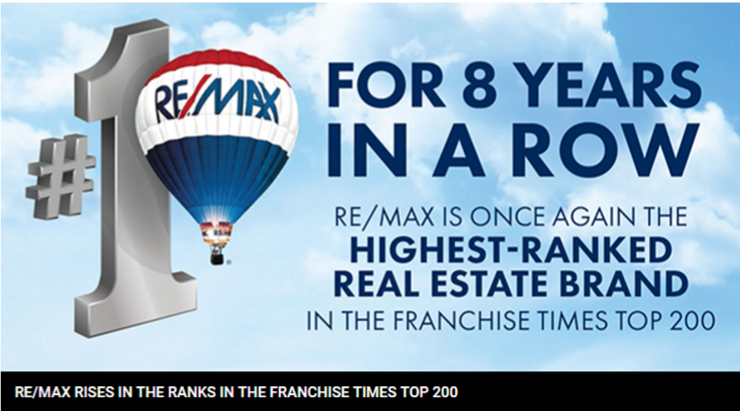 In the 2016 Franchise Times 200 ranking released recently, RE/MAX not lead all real estate brands for the eighth consecutive year, but also climbed to the Top 10 overall – in 8th place ahead of household names such as Marriott, Wendy’s, and Domino's.